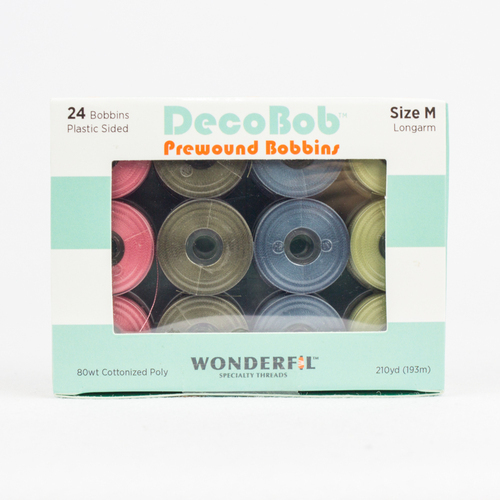 DecoBob™ is an 80wt 2-ply cottonized polyester thread that carries a textured matte finish. 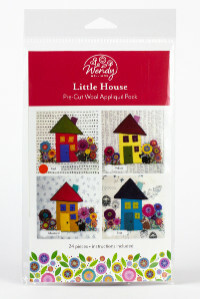 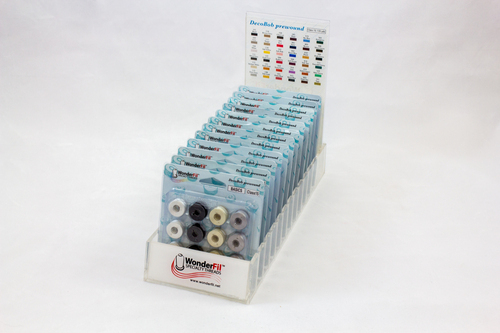 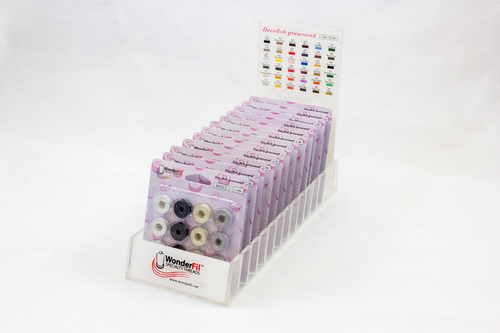 This lightweight thread ensures stitching becomes less bulky and designs softer. 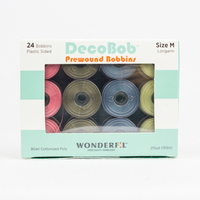 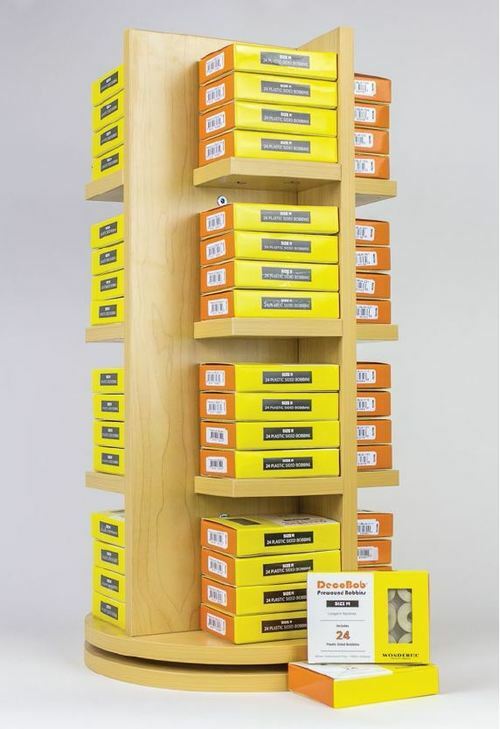 DecoBob™ ; is an ideal bobbin thread and is available in Class 15, L and M size prewound bobbins in reusable plastic casings.